Public documents: Read through the critical violations in the health inspection reports, including highlights and notations. Food served with hair in it and rats invading the patio dining area are just some of the customer complaints Samantha Schiber encountered in her time as server in Lincoln Park. Schiber, 21, has worked at two restaurants that failed an inspection resulting from a complaint this year. Since the start of 2013, there have been 1,924 inspections of restaurants resulting from customer complaints, according to the city of Chicago data portal. In Lincoln Park, 70 restaurants were inspected this year based on complaints. Thirty-four restaurants passed, 16 passed with conditions and 18 failed. Fatty’s Burgers and More, at 2665 N. Clark St., and Dunkin Donuts, at 1927 W. Fullerton Ave., appear on the most times this year at three each. Each restaurant is categorized by risk, with one being the highest and three the lowest. Restaurants at a higher risk are inspected more than those at a lower risk. The violations are assigned a number from one through 70. One through 14 are considered critical violations. Fifteen through 29 are serious. Thirty through 44 and 70 are considered minor violations. This map shows every restaurant inspections resulting from complaints in the 60614 ZIP code since the beginning of 2013, according to city data. Green indicates a restaurant that passed, yellow indicates a restaurant that passed with conditions and red indicates a restaurant that failed inspection. Restaurant inspections in the 60614 ZIP code that resulted from a complaint. Click on the map pins for the Lincoln Park restaurant's name and public records of the health inspection. Descriptions of these violations and the severity of each can be found on the City of Chicago Data Portal. 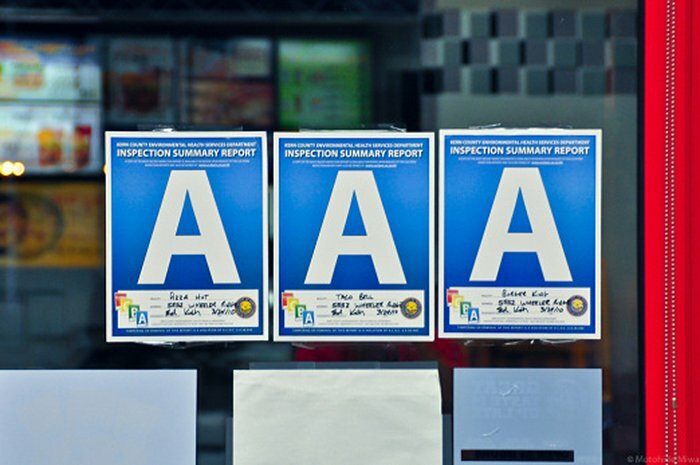 Thirty-eight restaurants passed the inspection after complaints were filed. The violations that these restaurants received were in the 30 to 70 range, which are considered minor violations. 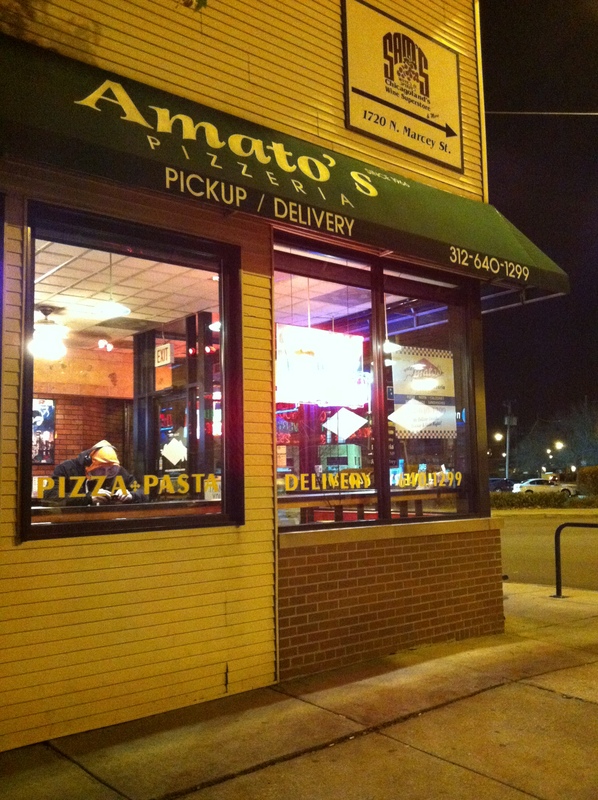 Tzatziki Grill, Orange, Amato’s Pizza and RJ Grunts are among some of the Lincoln Park restaurants that passed. Tzatziki Grill violations involved lighting and candles, Orange and Amato’s Pizza failed storage availability. RJ Grunts, a Lettuce Entertain You restaurant, had violations that included a broken door knob and unclean multi-used utensils. Half Shell passed their inspection receiving minor violations. The violations concern construction and maintenance issues, not the food. But Carissa Debreczeni, a one-time patron upset with the preparation of her oysters, thinks otherwise. “I’ve heard decent things otherwise, but my experience was gross,” Debreczeni said. Only 16 restaurants passed inspections under the provision that certain conditions were met. The violations ranged from facilities maintaining proper temperatures or vent violations to some more extreme like sources of cross contamination. Fogo To Go, Balena, and Kyoto Sushi Restaurant, all received minor violations. Whereas other restaurants such as Dunkin Donuts, Pizzeria Da Nella, and House of Hunan all received violations which range from critical to serious. Fogo To Go had issues with temperature, and Kyoto Sushi Restaurant passed with minor violations, the walls and floors needed scrubbing. Balena passed, though labels weren’t property executed. Dunkin Donuts and Pizzeria Da Nella both had violations concerning hand-washing facilities. House of Hunan violations were due to how the restaurant was set up. Of the 70 restaurants, only 18 failed the inspection after the initial complaint was made. The severity of the violations range from something as minor as not properly storing food or ice dispensing utensils and washcloths to much more serious violations such as failing to maintain proper food or storage temperature. Duffy’s Tavern, Pizzeria Da Nella, Thai Wild Ginger Restaurant, Chuck ‘E’ Cheese and Kuma’s Too received violations numbers as low as two. Receiving lesser violations, Clarke’s on Lincoln failed for cross-contamination and Sakura Teppanyaki and Sushi failed for temperature of the rice used rounding out the seven restaurants that received critical violations. If a critical violation is not corrected immediately, the restaurant fails, receives a citation and its business license is suspended until the correction is made. Pizzeria Da Nella and Thai Wild Ginger did not respond to numerous calls for comment about the inspection violations. 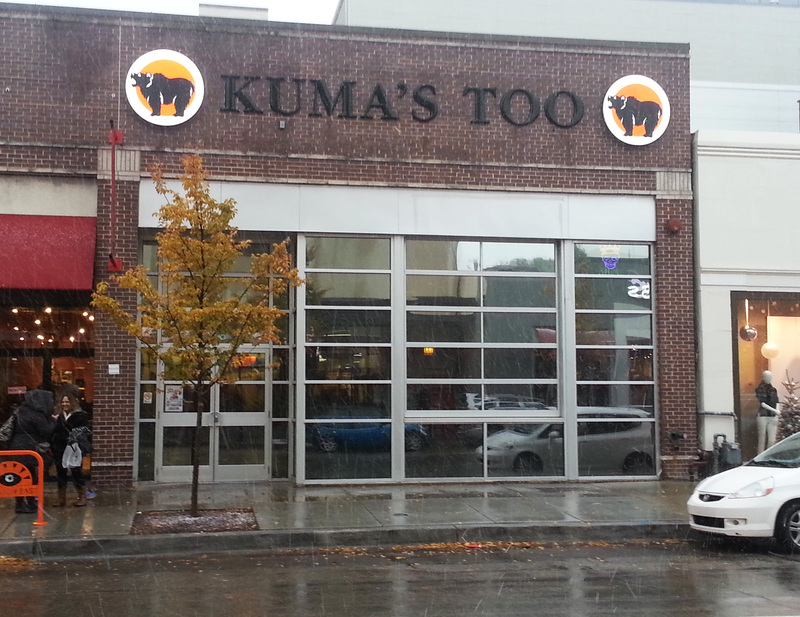 Duffy’s, Chuck E Cheese, Kuma’s Too, Clarke’s and Sakura management refused comment when contacted about the violations. To the north of Lincoln Park, in the 60657 ZIP code that encompasses parts of Lakeview and Roscoe Village, 83 inspections were made based off of complaints last year, according to the Chicago data portal. Of these, 27 restaurants failed. Bucktown and the surrounding area have 80 inspections of which 20 resulted in failure. Lincoln Park has the next highest number of inspections stemming from complaints as well as the next highest number of failed inspections. In the nearby 60618 ZIP code, inspections based on complaints decrease to 57, and failed inspections only total 10. In the nearby Gold Coast, the number drops even more to 30 inspections. Five restaurants there failed. Even with number of violations this year, Lincoln Park remains a popular destination for diners. Rachel Loftspring, a food blogger for Chewables Chicago, suggested that the average customer or self-proclaimed foodie just simply doesn’t take the time to look into these violations. Have you had a bad experience at a Lincoln Park restaurant? Call 311, contact the Chicago Department of Public Health or file an online complaint here.